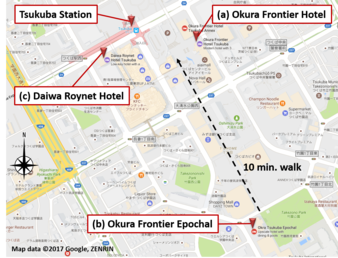 We offer following three hotels located within walking distance from the Tsukuba station. You can book a room by the special room rate for the conference participants (incl. breakfast, service charge and taxes) via the registration form. 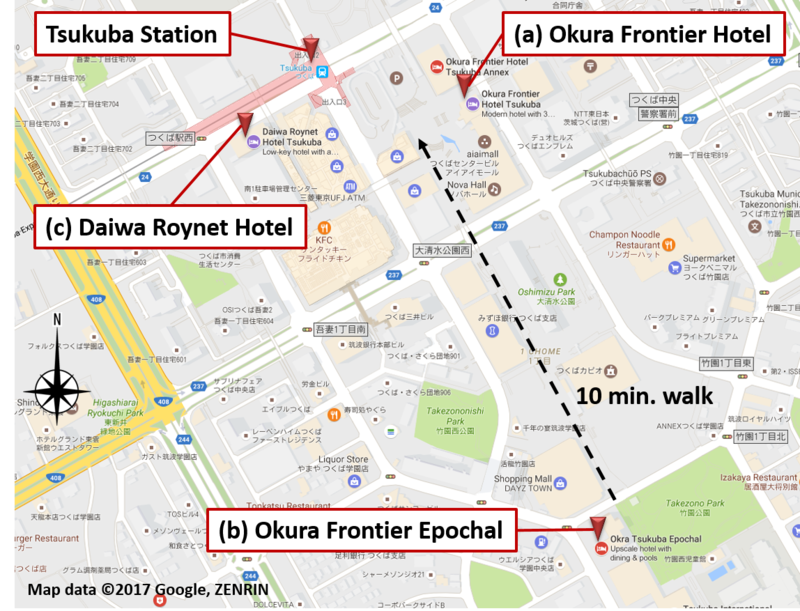 Please note that the conference bus to KEK will come to pick up only for these three hotels. We hold limited number of rooms as indicated in the list. The online reservation is available as first come first served basis until the number reaches the limit. All non-reserved rooms are released on Sep. 1st, 2017. So, please understand we are not able to guarantee the room booking from Sep. 2nd. KEK has the on-site dormitory, but we do not offer it to avoid any conflicts with experimental groups.